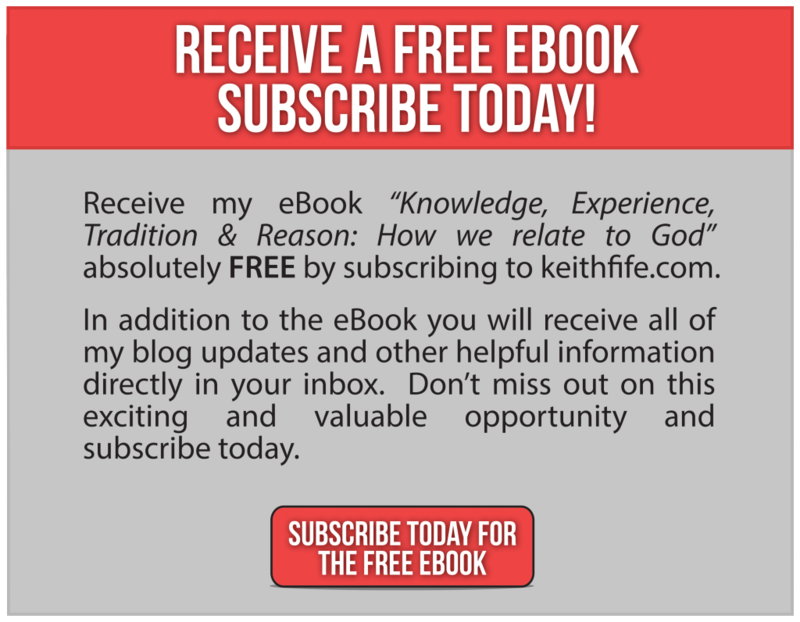 I am excited to announce my very first eBook titled “Knowledge, Tradition, Experience, & Reason: How we relate to who God is”. This book deals with the role of tradition, reason, and experience as they relate to Christian theology. I don’t want you to miss the opportunity to receive this eBook absolutely FREE. I am giving this away to all current subscribers and all new subscribers to the blog. Don’t miss out, subscribe today. New subscribers will receive an email with two links. One link is to “activate” your subscription the other link will take you to the eBook download page. If you already get my blog updates in your email you don’t need to re-subscribe. You will recieve a separate email with the download link. Also if you think any of your friends would like to read the content of this blog, then by all means share this post with them.